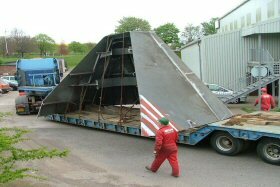 Gray Fabrication is one of the UK's leading Heavy Steel Fabrication companies specialising in the rolling, bending and pressing of heavy plate. This expertise is complemented by our extensive welding and CNC plate and pipe profiling capacity. Our services are driven by our dynamic Project Management structure and Health & Safety ethic, all underpinned by our ISO 9001 accredited Quality Management Systems. Our metal forming and fabrication workshops are equipped with a wide range of modern presses and rolls. The fabrication workshop covers an area of 4100m2, which enables the company to assemble structure up to 80 tonnes. 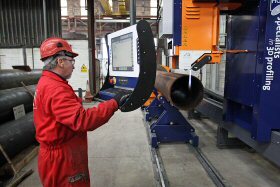 Unlike many other fabricators, we have an extensive in-house CNC plate and pipe profiling facility backed up by our considerable stock of certified steel.